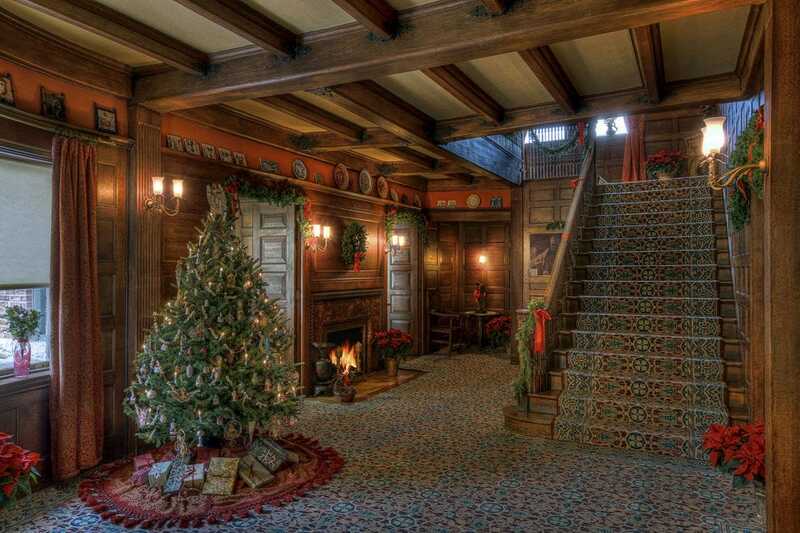 Best holiday historic home tour? 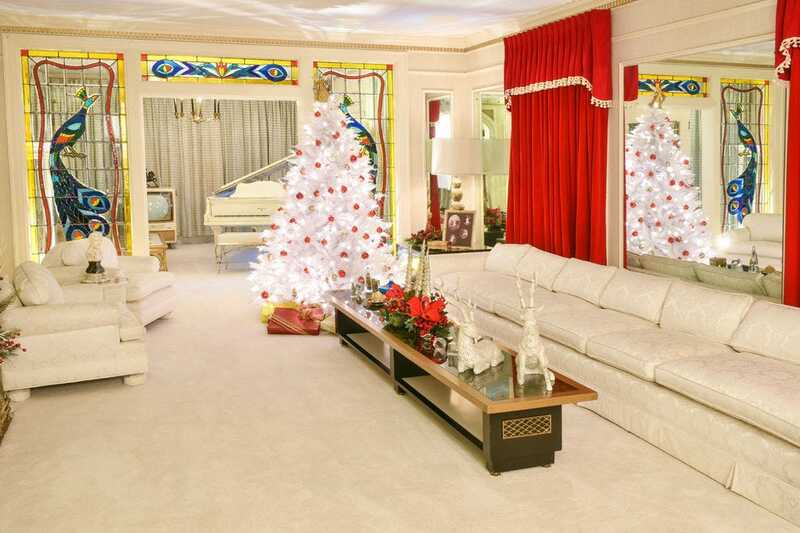 Head to Graceland! 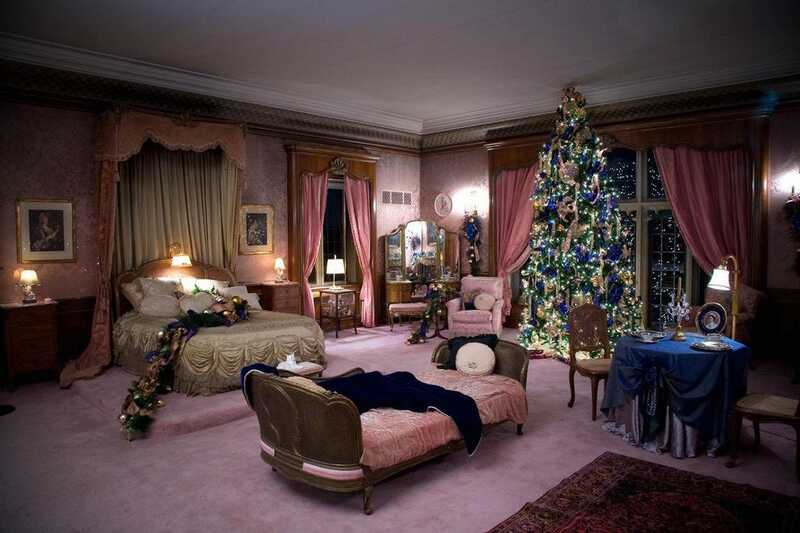 Ever wondered how Thomas Jefferson spent his holidays or what a Gilded Age Christmas tree might have looked like? 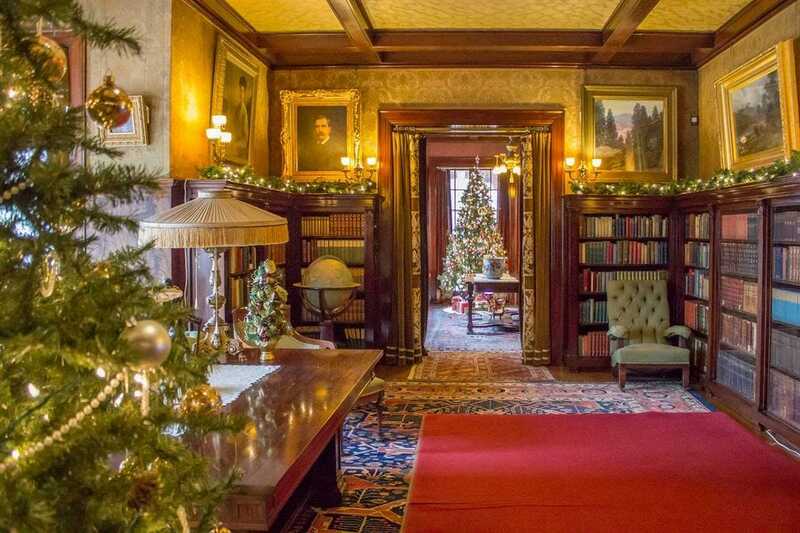 These 10 historic houses– nominated by 10Best Local Experts from around the country and voted the best by our readers– pull out all the stops for their holiday tours. Set on the shores of Lake Superior, the 39-room Glensheen Mansion is the most visited historic home in Minnesota. Built by Chester and Clara Congdon in the early 20th century, the home was donated to the University of Minnesota in 1979 and soon opened as a museum. 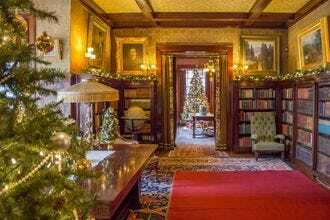 During the holiday season, visitors can experience what Christmas was like for the Congdon family by touring the mansion illuminated by the light of Christmas trees. A National Historic Landmark, Meadow Brook was built by Matilda Dodge Wilson, widow of auto pioneer John Dodge. 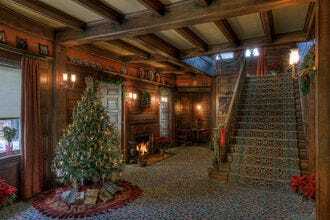 Constructed in Rochester, Mich. between 1926 and 1929, the 110-room Tudor mansion houses original family art and furnishings. Holiday Walk Tours feature seasonal décor, special exhibits and treats for children. 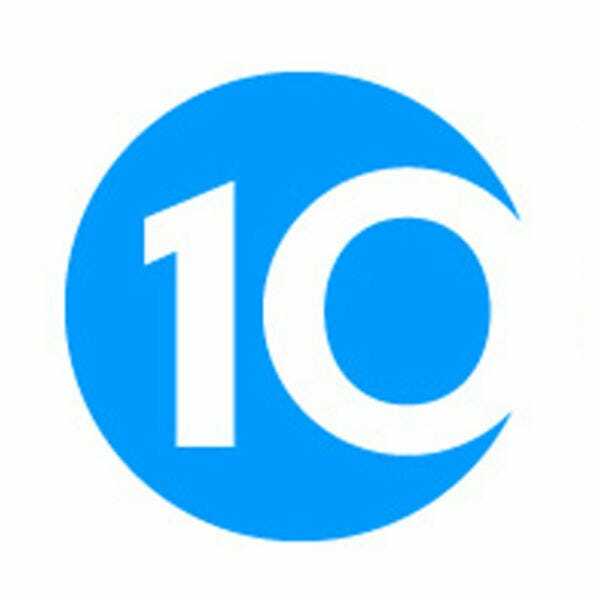 Throughout December there will be ongoing events including visits with Santa, bonfires, live carolers and kid-friendly Cleo's Candy Adventure tours. Stan Hywet Hall, Akron, Ohio's first and largest National Historic Landmark, is the nation's sixth largest historic home open to the public. 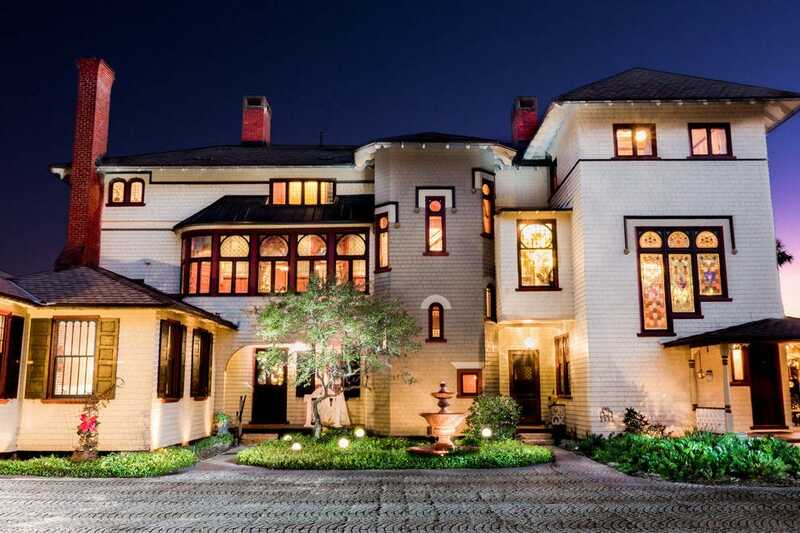 The Tudor mansion was built by Goodyear Tire & Rubber co-founder F.A. Seiberling between 1912 and 1915. 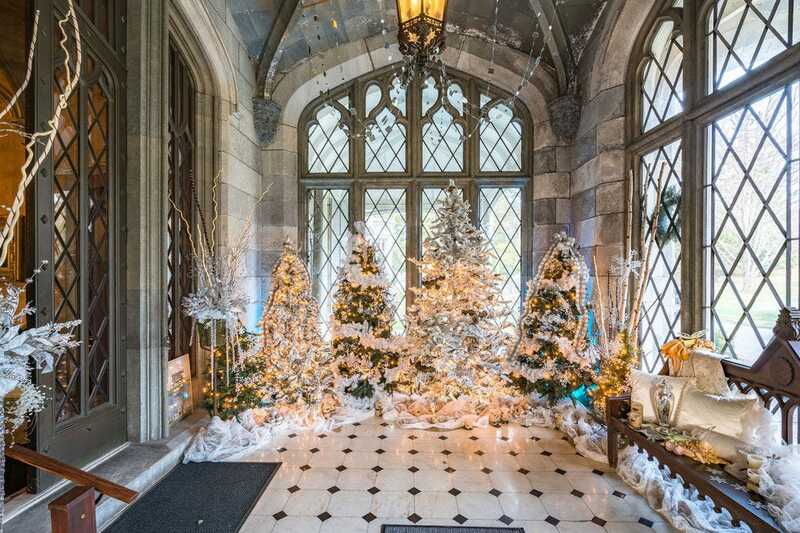 In 1957 the Seiberling children gifted Stan Hywet to Akron. On select days throughout the holiday season, Deck the Hall showcases one of Ohio's most popular holiday traditions with Santa visits, music, hot cocoa and other treats included in the festivities. One of Florida’s grandest estates, Stetson Mansion was built in 1886 for American hat maker John B. Stetson as his winter retreat. 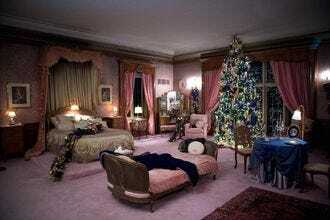 The High Victorian mansion is known for its parquet wood floors and original leaded glass windows. 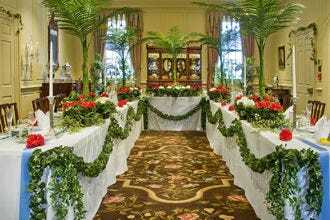 Each holiday season, the mansion is decorated with different trappings sourced from around the world. On Christmas Eve of 1895, George Vanderbilt officially opened his 250-room French Renaissance chateau in Asheville to family and friends. 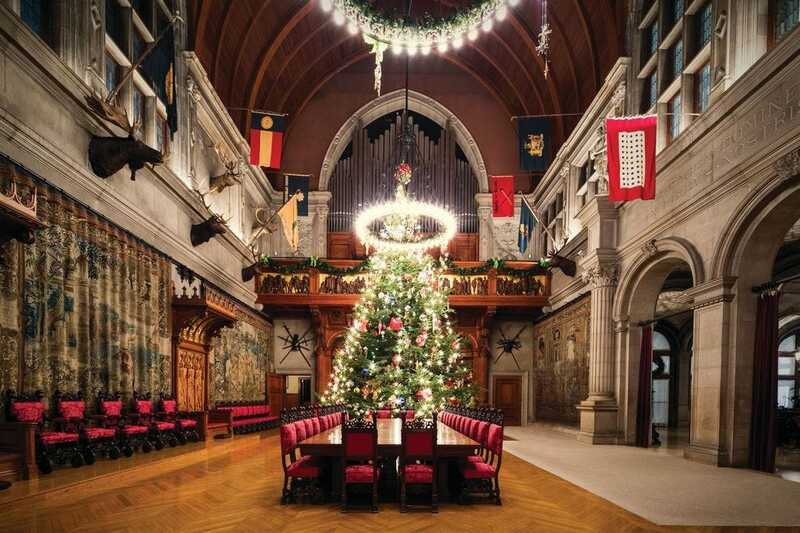 Vanderbilt passed away in 1914 at the age of 51, but Biltmore is still owned by his descendants and is the largest privately owned home in the U.S. A variety of tours offer a glimpse into America's Gilded Age, with special emphasis this time of year on Biltmore Christmas traditions. The "Candlelight Christmas Evenings" and "Christmas at the Biltmore Daytime Celebration" take place through the new year. Glessner House, designed by American architect Henry Hobson Richardson and today a National Historic Landmark in Chicago, ranks among the country’s most architecturally important residences as its design helped to revolutionize domestic architecture as a whole. Docent-led Christmas Candlelight Tours show off thee house in all its holiday finery–period decorations including a live tree and a dining table set for a 19th century feast. In 1951, Henry Francis du Pont opened Winterthur–his childhood home–as the Winterthur Museum. Located in Winterthur, Del., the 175-room house looks much as it did when the family lived there, showcasing objects made or used in the U.S. from 1640 to 1860. 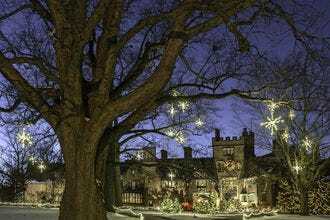 Yuletide at Winterthur offers family-friendly garden workshops, a live performance of A Christmas Carol and nighttime events such as Yuletide Jazz and Wine and the University of Delaware Chorale performing Carols by Candlelight. Overlooking the Hudson River in Tarrytown, N.Y., Lyndhurst sits in a 67-acre park. Designed in 1838, it is considered one of America’s finest Gothic Revival mansions. The annual holiday happenings invite visitors to follow Mr. Dickens and his imagined helper, Mrs. Wiggins, on a journey through the mansion. Using Dickens’ actual scripts, a costumed actor leads visitors on a journey through the mansion, where they encounter various characters from the classic story. When Thomas Edison visited Fort Myers for the first time in March 1885, he purchased 14 acres of property along the Caloosahatchee and commissioned two winter homes complete with a laboratory and botanical gardens. Henry Ford became his neighbor in 1915, and their homes became a popular tourist site. 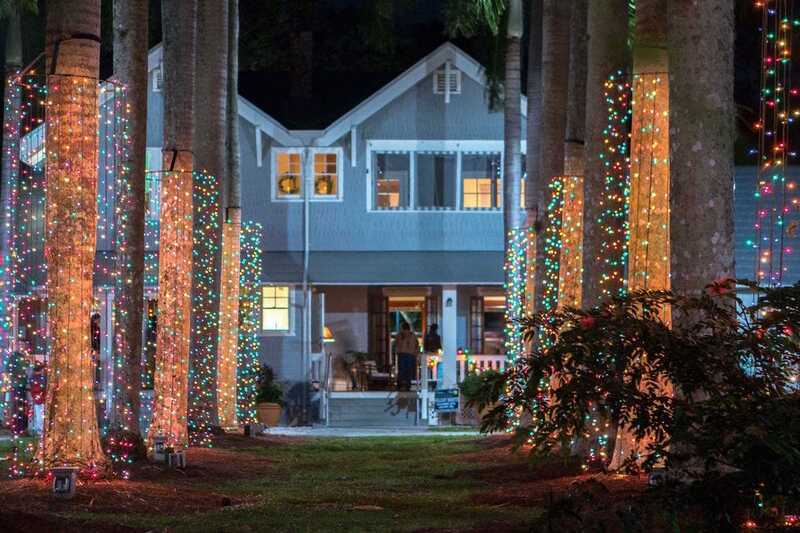 The annual Edison Ford Holiday Nights has become one of the most popular holiday traditions in Southwest Florida. On select nights, visitors will be treated to entertainment, tours and Santa visits. Meadow Brook Hall - Rochester, Mich.
Stetson Mansion - Deland, Fla.
Winterthur Museum, Garden & Library - Wilmington, Del. 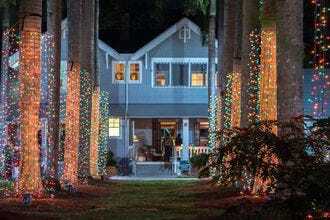 Edison & Ford Winter Estates - Fort Myers, Fla.
Congratulations to all these historic homes!